A new public event was just added: an appearance in one of my favorite river towns, Wabasha, Minnesota! Melissa Doffing and I visited the book cliffs on our Let Them Eat Crepes tour, driving down there during one of our first blizzards last year. We saw numerous cars in ditches, but nothing would dissuade us from visiting beautiful book cliffs. The weather cleared up shortly before we arrived. We had a great time — Melissa was in the early stages of her as-yet unannounced pregnancy. Sonja called out from the back of the store, thinking her mommy was talking too much. Fun times! 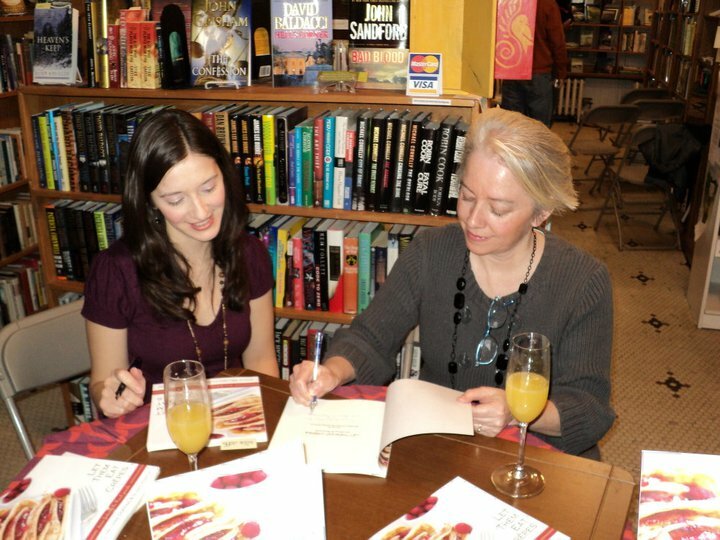 Since then, we’ve both given birth: she to her second daughter and I to my debut novel. Melissa’s been a great support to me in getting Washed Up shaped up and ready to go, and she’s reading my follow-up novel as well. Everything we learned from Let Them Eat Crepes is definitely being used for my published novel. If not for her, Washed Up might never have been written. Also in the works is a speaking engagement for staff at an in-service for the Roseville branch of the Ramsey County Library. I’m going to be expanding on a topic from a recent blog post, the creative act of reading. Preparing this talk is requiring me to brush up on my de-construction knowledge (all gained from a course in April of 1995), which apparently I’d internalized without knowing. I’ve got some fun activities planned and visual aids. Also coming soon are appearances associated with the Midwest Booksellers Association trade show, the largest trade show of its kind after BEA. I’ll be appearing at an evening event hosted by Twin Cities Sisters-in-Crime (with many other sisters – and a brother (!)) and then doing an in-booth signing on the last day of the event. These events are not open to the public, but essential in helping to get the word out about Washed Up. I’m practicing my elevator speech about the book, and its sequel. Wish me luck. The public life of an author is the complete opposite of the private life of the author, but essential in connecting with readers. 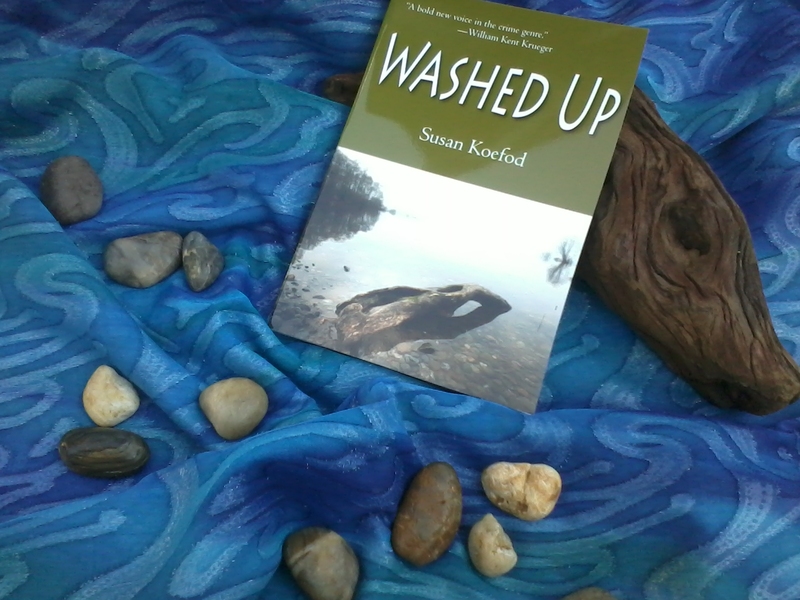 For those of you still eagerly awaiting the appearance of Washed Up on your local bookstore shelves and elsewhere, it’s coming. Enjoy your anticipation of getting my book in your hands, because once you’ve read it and loved it, it’s going to be a wait to the next one. Linger, linger! If you get a chance and are inclined, please add reviews to Amazon and Barnes & Noble websites. I appreciate it!!! This entry was posted in Uncategorized and tagged book events, book review, books, fiction, mystery, writing. Bookmark the permalink.